This image of Jupiter’s turbulent southern hemisphere was captured by NASA’s Juno spacecraft as it performed its most recent close flyby of the gas giant planet on December 21, 2018. Juno captured Oval BA in another image earlier on in the mission on February 7, 2018. The turbulent regions around, and even the shape of, the storm have significantly changed since then. Oval BA further transformed in recent months, changing color from reddish to a more uniform white. 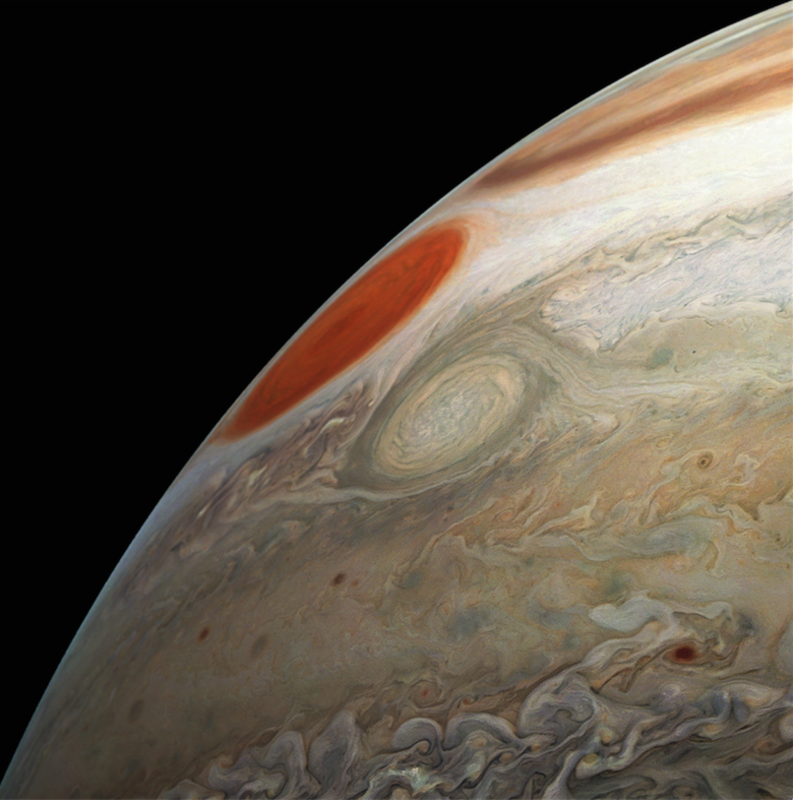 Juno took the three images used to produce this color-enhanced view on December 21, between 9:32 a.m. PST (12:32 p.m. EST) and 9:42 a.m. PST (12:42 p.m. EST). At the time the images were taken, the spacecraft was between approximately 23,800 miles (38,300 kilometers) to 34,500 miles (55,500 kilometers) from the planet’s cloud tops above southern latitudes spanning 49.15 to 59.59 degrees. JunoCam’s raw images are available for the public to peruse and to process into image products here. More information about Juno is here.